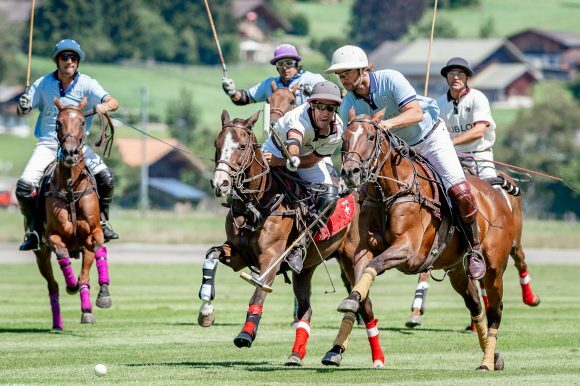 23rd edition of the Hublot Polo Gold Cup started in Gstaad. 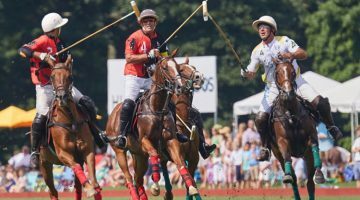 It is this last team that the titleholder, Cedric Schweri, will face in the semi-final next Saturday, his game of the day was already quite difficult: “Actually, it was very «hard» for a first game, confirms the captain of Banque Eric Sturdza. 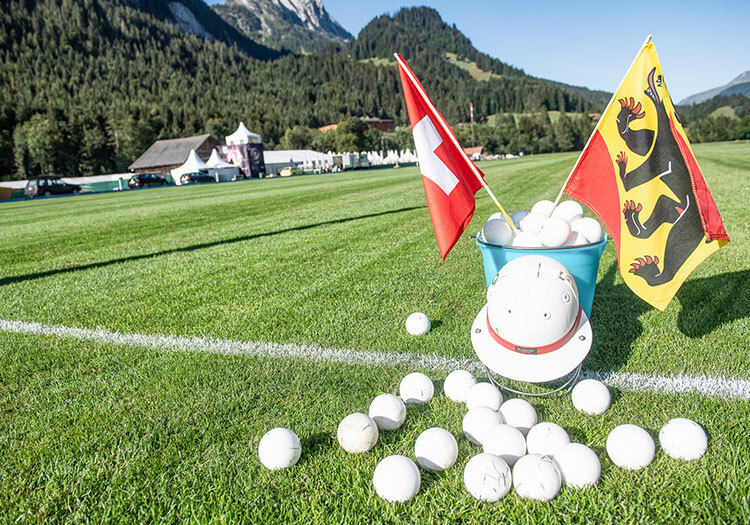 The problem is that it was the first time we played together and we needed some time to really hit it off. 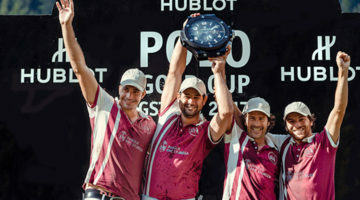 When the team knows each other, it is easier.” Cedric contributed to the victory with an incredible golazo (Argentinian, meaning a beautiful goal) in the second chukker at the end of a beautiful solo run: “It is always nice to score a goal like that. In general, we the patrons, are there to defend, but scoring a goal is good.” And an important one as well as the team only won by a half-goal: “But this victory makes us confident for the rest of this Hublot Gold Cup, I think we will go to the finals, and after…”! 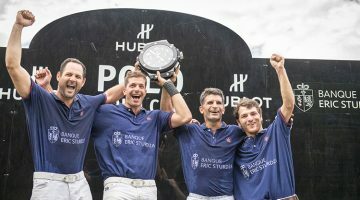 Cédric Schweri finally got his Hublot watch!